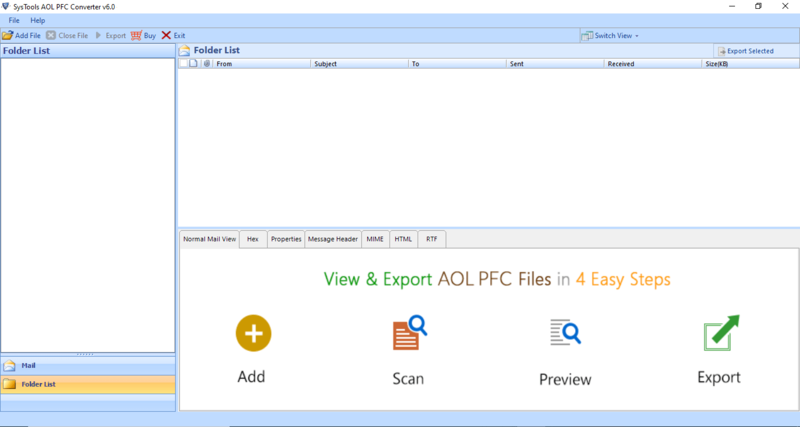 The tool offers a solution to convert AOL PFC emails into MSG file format in bulk. You can load single or multiple AOL files. The software will export all the emails in individual Outlook MSG file format. As there is no such limitation on the number of PFC files to convert into MSG. PFC to MSG file converter does not require any supportive application. One just needs to download and install this software on their machine and then, achieve required result i.e., Outlook .msg files. There is no need to install any application to run this software. Instead of exporting all the items of the AOL PFC file, users are provided with Date Range option to perform the selective conversion. Through this, one can select and convert only desired item or folders from the specific date to MSG format. It reduces the excess of useless data for the user. One can get only the required files after the conversion. The PFC to MSG Converter software allows a user to choose naming convention to save the individual emails according to the file naming option. This option will help you in searching the specific email from the bulk files. 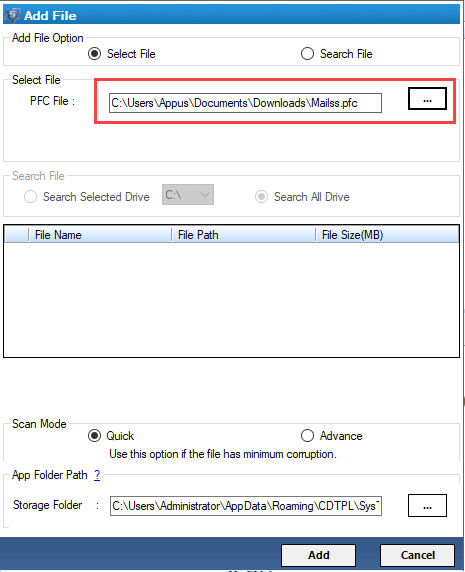 There are multiple options to save the files like Subject, DD-MM-YY, MDS, Auto Incremental, etc. 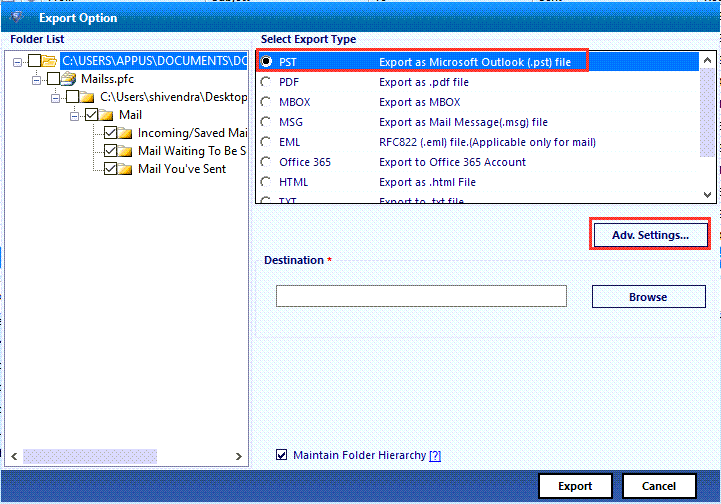 PFC file to MSG Exporter is designed in such a way that it can export attachments along with AOL emails to MSG. It is 100% guaranteed that there will be no changes in formatting of mail attachments during the conversion. It is a Windows-based application that is compatible with Windows OS (32-bit & 6-bit). The tool works smoothly on Microsoft Windows 10, 8.1, 8 & all the below versions. You can run the application on any version of Windows platform. It is an email client service, which enables users to exchange information worldwide. The application comprises of an inbuilt web browser, messenger, and media player. Features of AOL-desktop is fully focused upon email service as well as web browsing. Well, talking about email servicing then, the program saves its data in PFC file format whose full form is Personal Filling Cabinet. It stores emails, address book information, and bookmarks created by end users. Solution does not require installation of AOL-desktop or Outlook. Export bulk or selective PFC files to MSG format. No restriction on adding PFC files in any number or file size. Two modes while previewing PFC emails i.e., Horizontal and Vertical. Easy-to-use and Windows Explorer-like interface of the software. Choose naming convention to save individual MSG messages. The trial version can only export first 25 items/folder of PFC file to MSG file format. AOL Desktop: AOL Desktop versions 10.0, 9.0, 8.0, 7.0, 6.0, etc. What is the basic functioning of the application? Step 1: Run AOL PFC to MSG Converter software. Step 2: Select and add PFC file. The software will scan & open the items in the file. Step 3: Click on the Export option and choose MSG format. Step 4: Apply MSG settings and filters to select specific emails to convert. Step 5: Browse the destination location to save the obtained MSG files. Step 6: Click on Export button to proceed. After conversion, view all the MSG files in the destination location. I have created a folder on my machine, which comprises of multiple PFC files within it. Can I browse this folder to perform bulk file conversion? No, there is no option provided to add a folder in our PFC to MSG converter. But, you can accomplish this task by adding files one-by-one in the utility. I want to export PFC files emails to MSG format of certain date-range. Can I perform selective date conversion with help of your tool? Yes, you can achieve this task by enabling the option of Mail Filter, provided in Export Options window. Mention From-to-To date range in the provided column and then, continue with the further process. I directly want to save output MSG files in an external hard drive, while performing the conversion with help of your converter. How can I perform the same? Well, before starting with anything properly connect the external hard drive with your system and then, launch the product. Start with the procedure of exporting PFC emails to MSG via our tool. When you come across Destination button, click on it and then select the location of your external hard drive. This scenario will help you to directly save resultant files in the external storage device. Please note that until the procedure is not finished do not disconnect the device from your PC. My manager has assigned me a task to export AOL PFC emails into MSG format. However, I am not having AOL-desktop email application installed on my office machine. Is it now possible to export emails from AOL file to MSG format? Yes, of course. You are still able to complete the assigned task. It is so because our developers had designed the application in such a way that it works independently without any email client installation. Will I be able to access your software on Windows 7 (32-bit) operating system? Yes, our PFC to MSG Converter software is Windows-based utility, which is compatible with all the versions of Windows operating system, including its latest one i.e., 10. "It is known fact that there are very few firms, which provides software to export AOL PFC file to MSG. However, finding an accurate and perfect solution for the same was quite a difficult task for me. Luckily, one day I come to this PFC to MSG file converter, which not only opened .pfc files without AOL client but, rapidly converted all emails in just a few minutes." "AOL PFC to MSG converter is the solution, which I was looking for since a long time. As such there does not exist any manual approach for the same, therefore, the only avail approach is to use a third-party utility. What I personally found while working with this product is that it is having an easy-to-use interface, which makes the process simple for non-technical users." "When it comes to storing individual emails in MSG file format, then this tool proves great in terms of simple & efficient working. I got positive results while converting my AOL PFC files to MSG. Thanks for such an amazing tool!" "It was a task for me to convert PFC files to MSG format. But I don’t have AOL Desktop email application in my system. So, I was very worried about the conversion. Then I tried this application at the end. It really works smoothly without AOL. It performs the conversion within few minutes and I got thousands of emails on my hard drive in MSG format."